Search engines are constantly evolving, and so are SEO strategies in 2019. Every year, there is a lot of speculation around the changes in SEO and the upcoming trends. It is already 2019 and SEO is rolling steady. 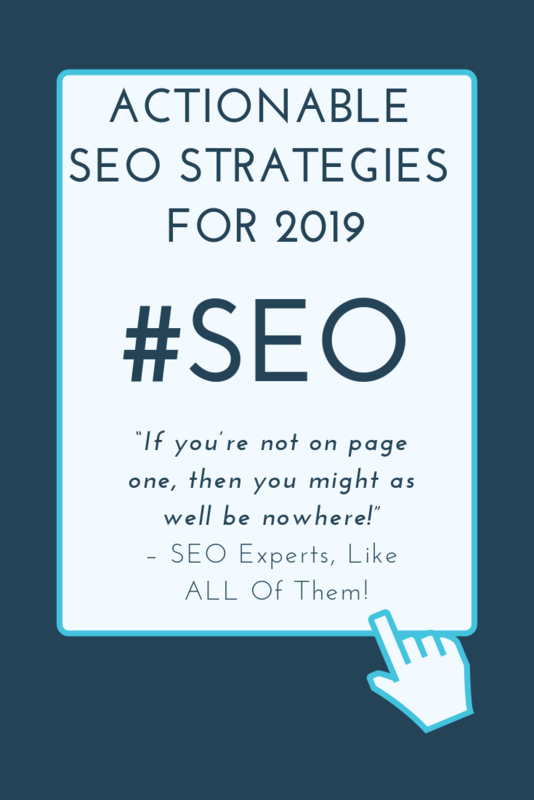 Isn’t it time for you to consider some actionable SEO strategies for 2019? Last year, we wrote about 8 simple WordPress SEO tips for 2018. These are all still valid SEO tactics this year, and are highly recommended if your site is built with WordPress. Even if it’s not, you should read this article if you are a beginner in SEO. Today more than ever, SEO is the most effective medium for achieving better website ranking and grabbing adequate website traffic. It is not about ranking in Google per se, it is more about making your business visible to the world with the right SEO strategies for 2019. Today, Google enjoys a 76% search engine market share – a steady rise from 65.5% in January 2016. In the next three positions are Baidu, Bing and Yahoo! which have a combined market share of 21.6%. 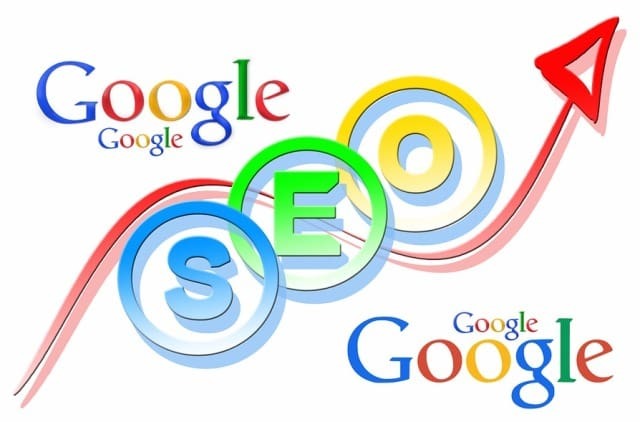 It is obvious why it is critical for a business to follow Google-oriented SEO strategies carefully. 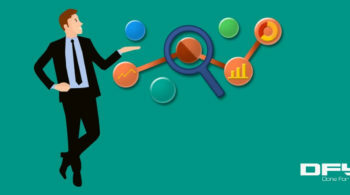 You can only choose a SEO strategy after a thorough analysis of your website. An analysis would help you to pinpoint the scope of improvement and areas to improvise. Unless you know where you want to get, you shouldn’t make any changes to your website. In the initial planning phase, you should examine all the elements and pages of your website. Find out the issues, bugs or errors affecting the rankings of the website. Black Hat SEO involves techniques that are completely against search engine guidelines. They are basically low-quality bulk-action practices that focus only on improving web page ranking. Content may be overstuffed with keywords to force rank in search engines. This type of content provides no real value and often deceives users. Although such techniques may improve ranking fast, Google will soon find out and bring your pages down. Your website will most likely be banned and you won’t be able to rank it again in SERPs (Search Engine Result Pages). On the other hand, White Hat techniques have several advantages. They are considered to be an excellent SEO strategy for 2018, 2019 and beyond. 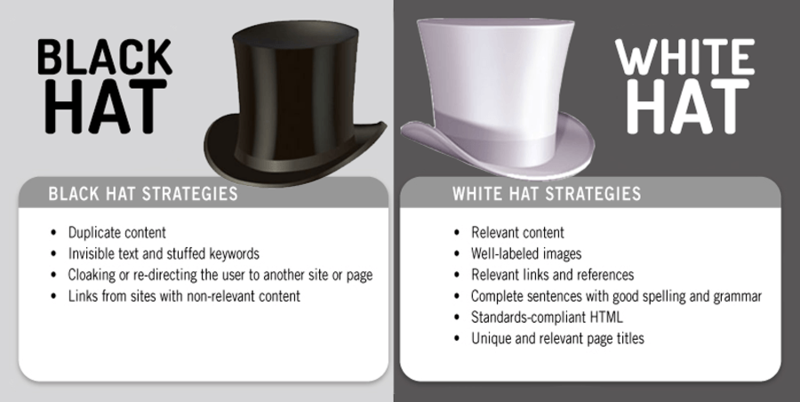 White Hat techniques are all about creating genuine and unique content that offers value to the reader. 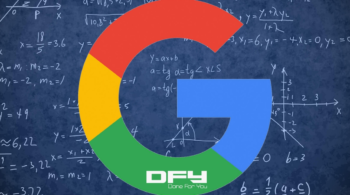 Google won’t ban you for White Hat SEO techniques in 2019, although it doesn’t recommend any doing SEO at all, because they just can’t prove that you are actively doing SEO. SEO is continuously evolving, and the process is likely to continue. As Google is continually changing its algorithm for improved user experience, SEO landscape must change. Because of the algorithm changes, two things are affected – web page ranking and its visibility. 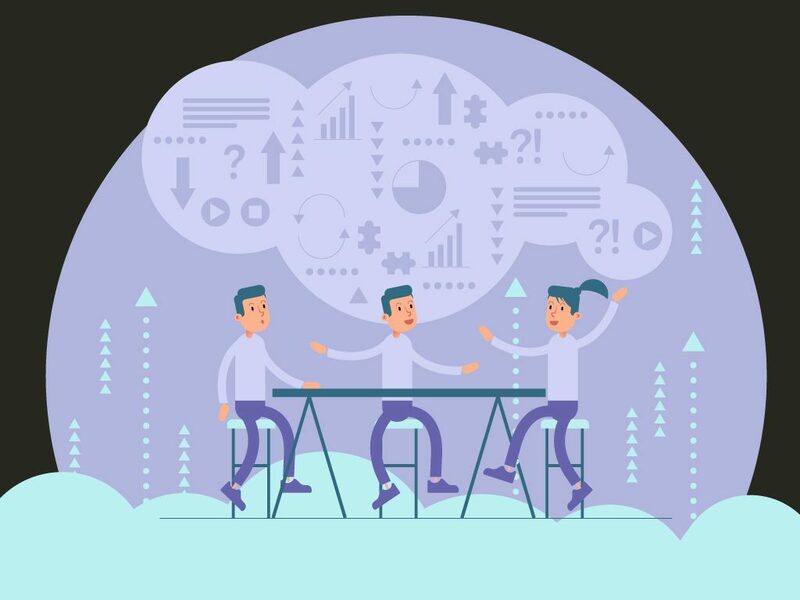 Recently, we wrote an article about the 6 biggest content marketing trends that will dominate 2019. 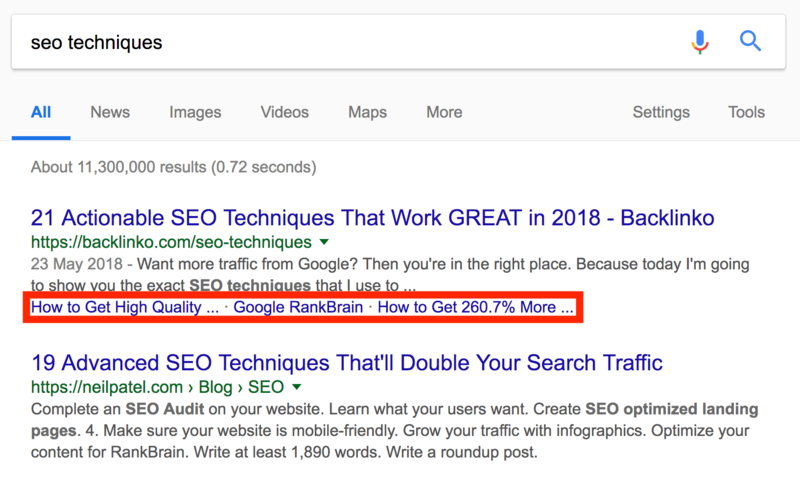 What’s more, we posted an advance article on how to ramp up your SEO game in 2019 and beyond. You may want to read that to learn more advanced techniques. Quality content can help your web page earn four times more than seasonal content per year. Did you know this? 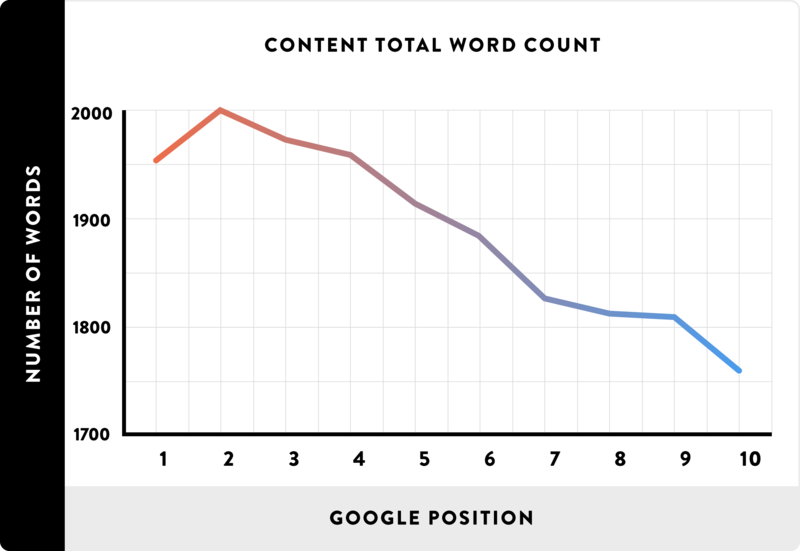 Data shows that the average length of content on Google in the past had 2,000 words. This clearly indicates that long-form articles and blogs can help you to achieve a higher ranking. You want your website to have better visibility, improved ranking, and greater returns! An attractive web page title and a small description is the trick to success. 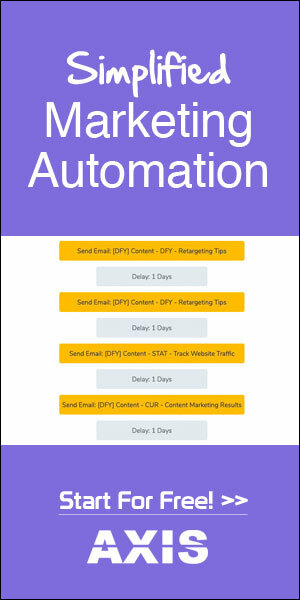 In fact, catchy titles have the power to freeze your visitors. A compelling title is so much more expressive that it can tell what your web page or content entails. In fact, title tags benefit across social platforms too. As social networks use title tags for determining what to display and when to share blog posts, it is crucial. 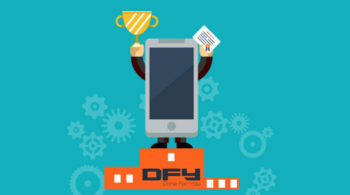 Did you know that mobile users have already surpassed desktop users globally? While 57% of users do not recommend a business having a bad mobile website, 40% of users have moved to a competitor’s website after encountering a bad experience with the mobile version. Most users access websites through mobiles. So, if they face difficulties using the mobile version, they would not mind moving to other websites. Is your web page mobile friendly? Click to Run Test. Websites with mobile device compatibility have better chances of targeting users. This would also increase the traffic of websites by targeting more and more genuine people. Ultimately, this would boost SERP ranking. Lengthy content has never been as important as it is today. Long content ranks better than short ones. As long content are more detailed, they have higher readability. For instance, content with a word count between 1500 to 2000 words tend to rank higher compared to content with less than 1,500 words. Moreover, lengthy content contains more keywords, which ultimately drives the content to rank for multiple keywords. As a result, your website visibility increases and you lead towards more clicks and more conversions. Data suggests that long content has a greater possibility of ranking higher in the SERPs. Why so? Because it enhances the user experience, attracts social shares, and gets quality links. Content valuable to users is equally valuable to Google. Creating long, engaging and valuable content is the best SEO strategy in 2019 to rank high, get more organic traffic and boost sales. Do not present long-form content with no sections. Break it into short paragraphs, simple sentences, and an engaging format. In a keynote, Sundar Pichai, Google’s CEO, announced that one-fifth of all Google queries are voice searches. The savviest voice search users are teenagers. However, according to Thrive Analytics report, people of all age groups use a mobile assistant. 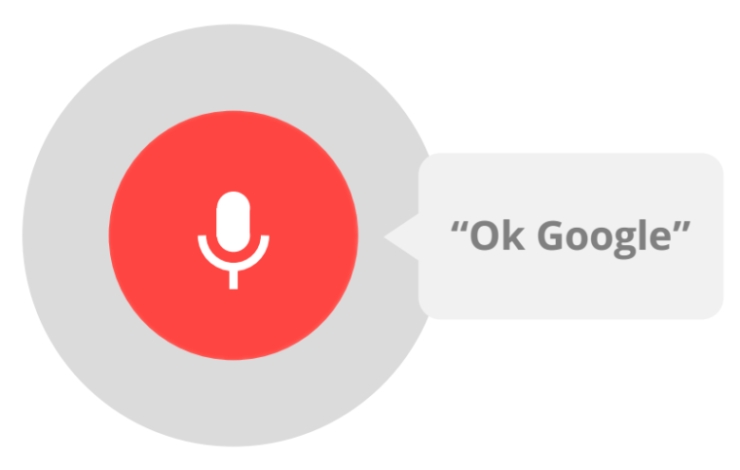 Today, businesses should optimize their voice search. If they do not, chances are that they might outsmart the ones that do. 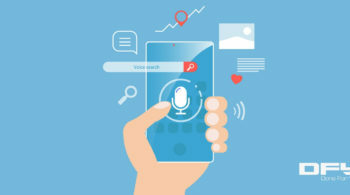 Voice search also improves website ranking. It holds a large percentage in all searches. Hence, there is a demand for voice search optimization, which you must consider for SEO. According to the Google Hummingbird Algorithm update, “Focus will be on the meaning of phrases rather than individual keywords.” That shows Google’s concerns about the future of voice search. When it comes to SEO, user experience is everything. Google rewards user-friendly websites in many ways. Instead of optimizing a website only for Google bots, focus on user experience to get a higher conversion rate and better ranking. You can provide an optimum user experience by ensuring the loading speed of your website. At any cost, deliver a speedy website. A website that takes too long to load is likely to be abandoned by visitors without a second thought. Make your website visually appealing. It increases users’ dwell time, i.e. time spent on websites before heading back to SERP. Ensure the website has simple navigation. Users don’t want complex menus. It only builds confusion and hinders their actions. Let’s see some statistics here – 53% of users bounce immediately after 3 seconds because of poor experience with a website. That’s excessively much of a risk to take! Links pointing back to your web pages are the best off-page SEO tactic you can deploy in 2019. Google determines how important and relevant your website is (for a given keyword) based on how many backlinks you have from other sources. Backlinks will also help to increase domain authority. Creating amazing content that bloggers and journalists will want to link to is the best way to go. You should also consider doing guest posts by actually writing up high-quality content on other blogs. Now, there are a few other ways to build links but we advise you to focus on these do. If performed well and consistently, they will do the trick! SEO is definitely an integral part of your online presence. If done right, your SEO strategy can take your business to places and help you survive and rank higher. However, the effectiveness of your SEO strategy depends on the kind of decisions you choose to make. Over time, Google Algorithm, trends and SEO tactics change. That is why you should keep your knowledge up-to-date or hire an expert team to help you with your content strategy. With the best SEO strategies in 2019, you can stay ahead of your competitors in this virtual marketplace. Whatever you do, don’t forget that creating quality, informative and engaging content that your readers will love and appreciate is the best SEO technique you can implement right now. 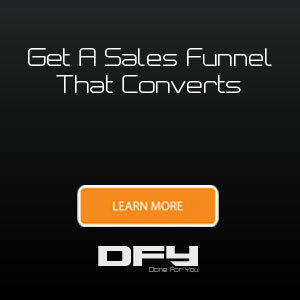 Are you looking for more growth marketing ideas? Here are the fastest ways to increase sales!